My wife clipped this for me today. I thought that it was worth sharing. That's not Scripture Bro. Scott, but it is truth. This kind of makes me think, and feel guilty, and it rings true and hits hard. 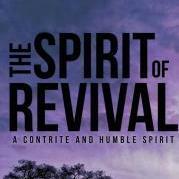 It may be a good self examination before I ask for revival in my prayer time. Thanks for this post!